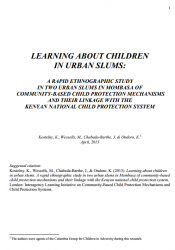 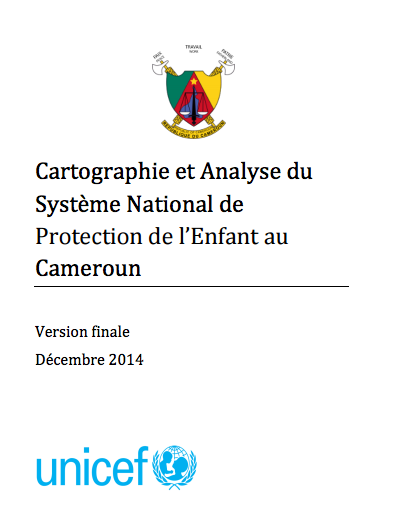 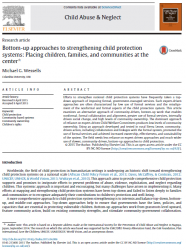 This paper is a Child Frontiers product on behalf of the Child Protection Working Group’s Systems Strengthening and Disaster Risk Reduction Task Force. 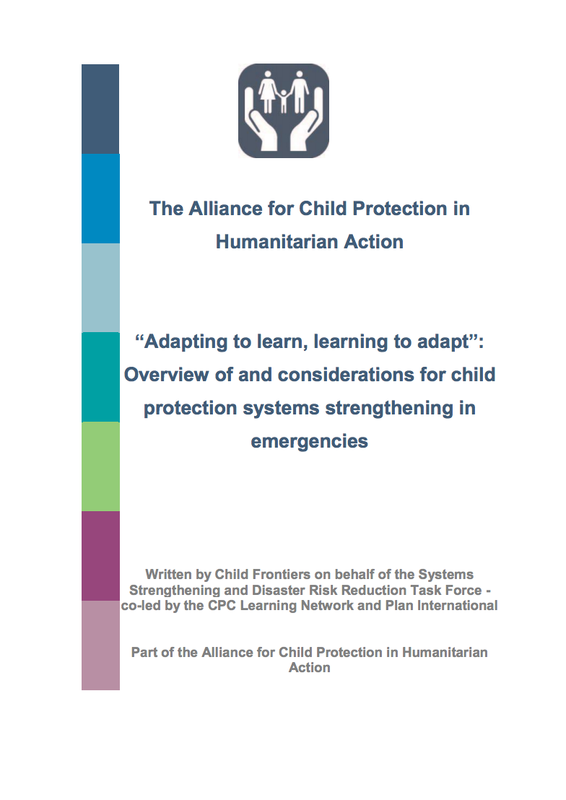 Based on this the Systems Strengthening and Disaster Risk Reduction Task Force of the Alliance for Child Protection in Humanitarian Action (formerly the CPWG), co-led by the Child Protection in Crisis (CPC) Learning Network and Plan International initiated a process to develop an overview document with key considerations for practitioners. 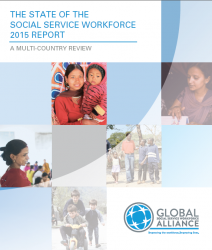 This report, by the Global Social Service Workforce Alliance, sheds light on key social service workforce data and trends, showcases innovative and effective workforce strengthening initiatives, and highlights the need for more data and focus in this area. 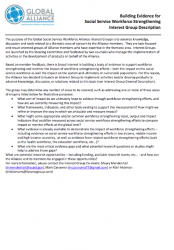 This document introduces a new interest group, Building Evidence for Social Service Workforce Strengthening. 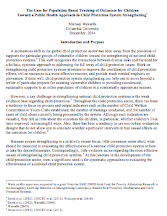 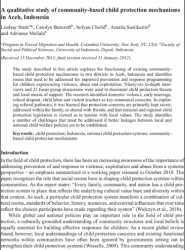 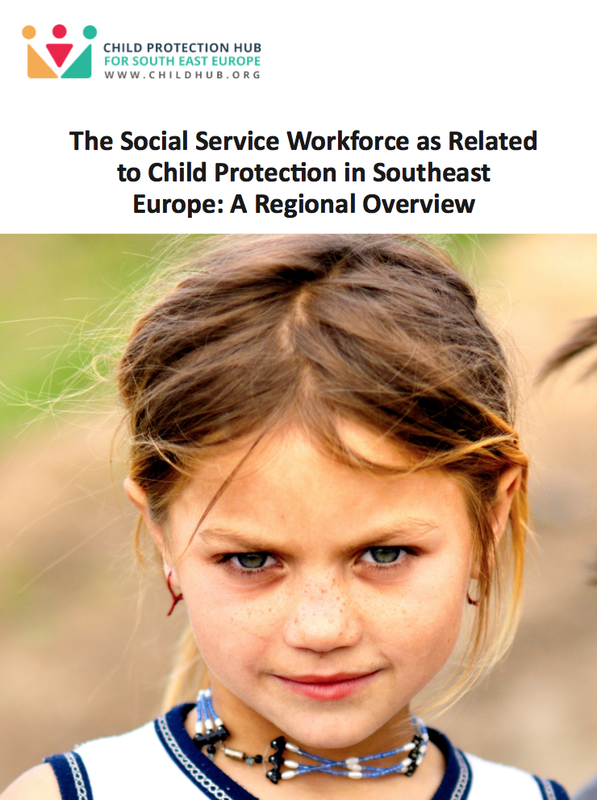 This paper suggests the value of tracking population-based outcomes for children as a key component of monitoring and evaluating the effectiveness of a national child protection system and considers what indicators and outcomes are most appropriate for tracking at a population level.